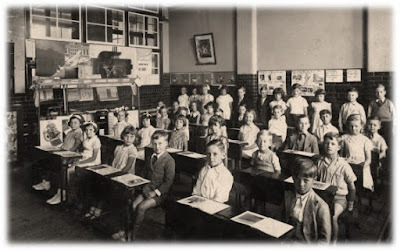 A couple of weeks ago we started a blog writing about the history of football and education. Indeed, the final outcome was a tad misleading with stories only ranging from 1850 to 1930. It came to our attention that the history of the beautiful game and schools is far deeper than we first imagined. In this piece we are going to be looking at the Second World War and beyond as the game had to adapt to a changing world in every sense. Last time, we noted that the relationship between football and education was closer than we ever thought possible. They do in fact share a tremendously similar background. At first, both were open to the upper class gentry. Football of course was developed in its codified form by public schoolboys. By the 1890s, the Labour party had been created, education had been made compulsory to all and football had succumbed to the 'disease' of professionalism. The working-class voice was being heard. 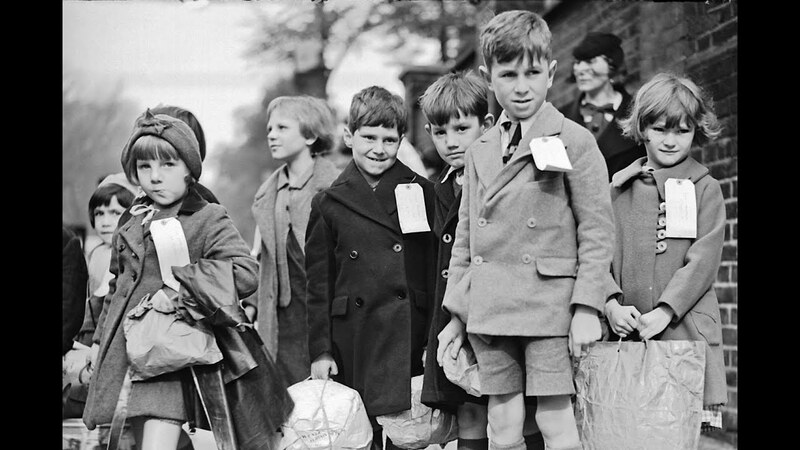 Furthermore, we can see the impact of football on evacuees by the creation of an evacuee school league in December 1939. Such leagues began to be commonplace as football remained a constant amidst mass change. Perhaps our favourite story from the era comes from the Northern Whig in 1941. 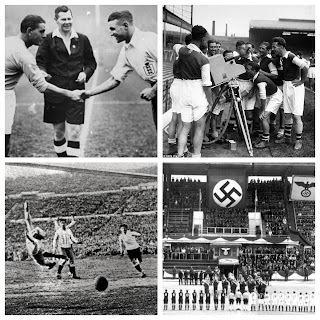 Long before Theresa May was causing havoc in fields of wheat - evacuees were caught kicking footballs around in different farmers' crops, much to their anger. For many children introduced to the rural community, it was their first taste of the countryside. Once the war was over, the reconstruction of the country was its top priority. The new Labour government under the stewardship of Clement Attlee was to bring welfare to the forefront of any agenda. It can seen that the football association was keen for the ministry for education to develop football pitches in schools following the successful conclusion of the war. By the 1950s, the country was to undergo significant change. Consumerism was to take over as income improved amidst mass technological advances. 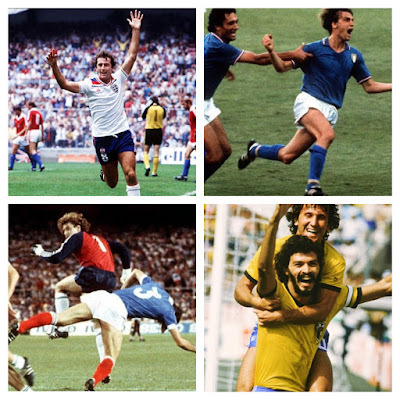 In schools, we can see how Football League players were beginning to gain 'superstar' status. For Matthew Taylor, the use of guest players in war-time friendlies was a precursor to these 'icons.' Children were beginning to idolise different players and playgound conversation was very much football-based. The 1950s were also essential to the growth of school's football. In 1950 a match between the English and Scottish schools attracted 50,000 spectators at Wembley. Within a year, coaching courses had been offered to teachers by the ESFA and FA. This gave teachers the opportunity to practice coaching technique and bring what they had learned back to their respective schools. "Whether played as a game, as a chance to perfect one's 'skills', to discuss one's favourite team, or simply to act out the part of TV commentator, football remains a permanent popular feature in the ever-transient environment of the playground." The following decade is probably one in which the entire twentieth century can be defined. The 1960s were more than just a ten-year period. From Beatlemania to the English World Cup victory, it represented a social revolution. Peter Chapman's brilliant 'Out of Time' gives us a in depth insight to the period and how football dominated many a schoolboy's attention. Chapman recalls school playground conversations which led to him collecting autographs, buying football annuals and attending matches. Football in schools would continue to evolve too. By now, physical education was commonplace in the syllabus. PE however, was not always met with much enthusiasm. Perhaps this is best shown by the outstanding scene from Ken Loach's 'Kes' in which a school teacher takes a P.E. lesson far too seriously leading to the disillusionment of his class. Whereas young lads were being given the opportunity to play the game in PE, the same cannot be said for girls at the same time. Indeed, the female game was still banned from FA pitches as part of a draconian 40 year ban. 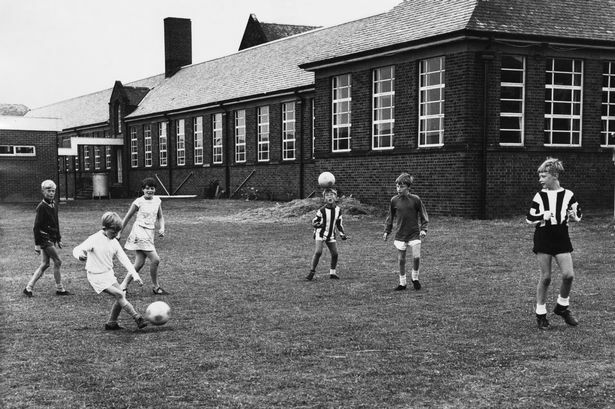 Towards the end of the century football was still a keen aspect of school life. 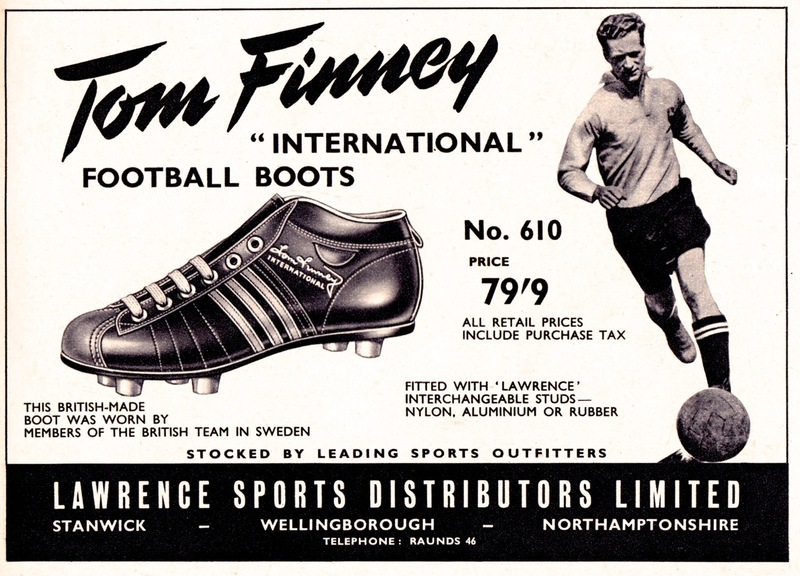 The introduction of more collectibles, magazines and advertisements with footballers meant it was difficult to miss. For myself, I can remember the sheer joy of ripping open a new packet of stickers and taking them into school to swap. In 1970 Panini released its World Cup Album which took school playgrounds by storm. Soon the words - got...got...need were as commonplace as maths, science and history. 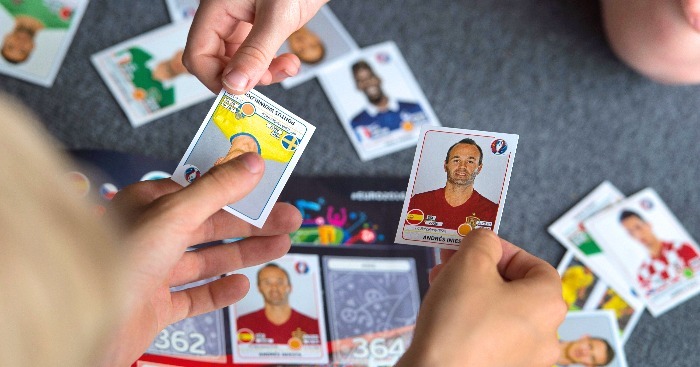 "Back then, the word Panini called to mind not a grilled sandwich, but the ferverish swapping of stickers that went on in British schoolyards and collectors' back rooms." "Physical Education - wow, am I glad I don't have PE today. Or any other day until I die. I mean, as an adult male I run, I play five-a-side and I play badminton. I swim most weeks too. But PE at school was awful. When I go to hell, I imagine it's just going to be PE, surrounded by fire. The alarm clock in hell will be a size-four moulded Mitre football, straight from the freezer, pumped up like Rick Waller and blasted onto my goosebumped thigh at approximately minus-374 degrees centigrade." This is surely the memory for many other people of PE and the way football was played in the schools. Writing this piece seems to have split football and education into two separate categories. There is the football of the playground - where children are left to their own devices - kicking around a ball, a bottle or collecting stickers. Then there is the football of PE. Physical Education in schools seems to have promoted a distaste for the game rather than a love for it. The discouragement in the participation of girls and young women is also one of its greatest failures. The future of football and education is perhaps for another piece but for the time being it seem that overcrowded classes and the constant need for data, paperwork and figures means that football is being squeezed to one side. From my own teaching experience the failure of many schools to even properly teach PE/Games is a travesty in itself. Go into any primary classroom and ask the children what their favourite subject is and over half will say PE. "(Wendy Owen) suggested that PE in general in primary school was “in crisis” as it was no longer a compulsory ingredient of training courses for primary school teachers"
Kids love sport. Kids love to play sport - I hope that in the years to come it will take a more active role in any curriculum. Children can learn so much from it too - the most obvious would be teamwork and leadership. However, perhaps its greatest asset is it teaches us to deal with failure. You don't always win in football, but you learn from it. You learn how to approach situations differently, a skill which can applied in each and every subject. On the other hand, what is clear is that children left to their own devices will always play the game on the playground and discuss the weekend's games with the friends. It would seem despite so much intervention from adults, that children are truly the reason for football and education's close relationship.